As expected, HTC has announced two new U-series smartphones - the HTC U11+ and HTC U11 Life. HTC U11+ is the company's first smartphone with edge-to-edge display joining the likes of Samsung Galaxy S8 and others including the iPhone X. Expanding the Edge Sense availability to more devices, HTC has brought the 'squeezable' edge to the two new smartphones as well. While the HTC U11 runs HTC's own Sense UI on top of Android Oreo, the HTC U11 Life will be made available under Android One program in markets outside the US, which means only the US variant with will support the Edge Sense feature. HTC has announced that the U11+ will be going on sale in "select markets." It has been priced at EUR 799 (roughly Rs. 60,000). The HTC U11 Life, on the other hand, has been launched with T-Mobile exclusive mobile carrier partnership and will be available to buy in the US starting Thursday. It has been priced at $349 (roughly Rs. 23,000). The company is yet to announce the availability and pricing of the HTC U11 Life outside the US. The company is marketing the HTC U11 Life Android One as "Created by HTC. Powered by Google." Considering that the HTC U11+ has already been listed on the company's India site, we expect the smartphone to be launched in the country soon. Obviously, the HTC U11+ price in India isn't know yet. 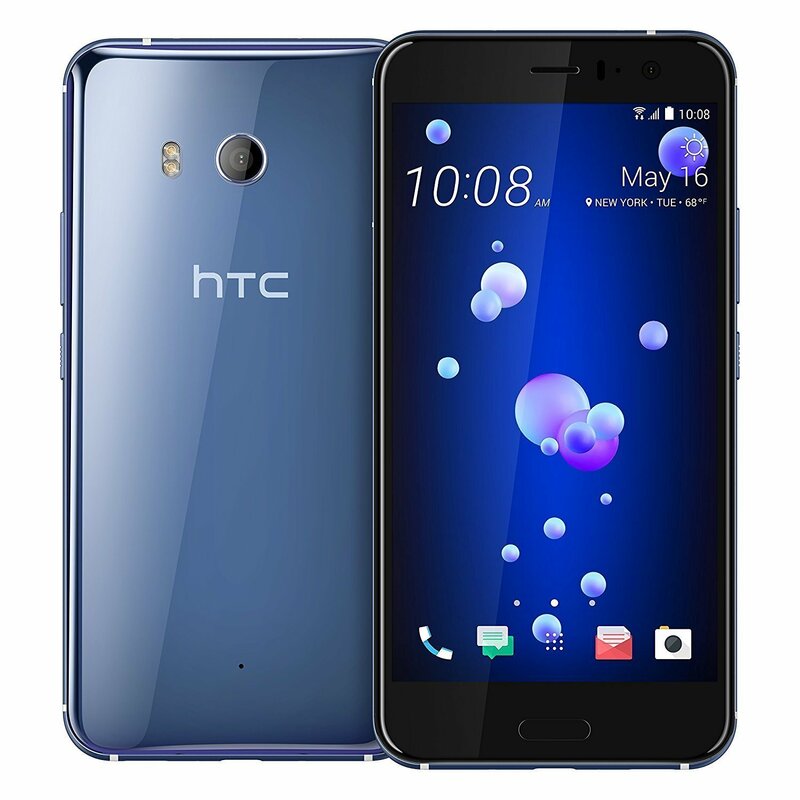 For specifications, the premium HTC U11+ sports a 6-inch Quad HD+ Super LCD display with a screen resolution of 1440x2560 pixels and also comes with Corning Gorilla Glass 5. Under the hood, the phone is powered by an octa-core Qualcomm Snapdragon 835 SoC clocked at 2.45GHz coupled with 6GB of RAM. 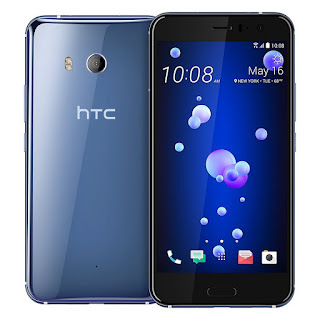 The company says that the HTC U11+ will be available in 6GB with 128GB storage version only in Europe while rest of the markets will receive a 4GB RAM with 64GB storage version. On the camera front, the HTC U11+ sports 12-megapixel UltraPixel camera with autofocus, BSI sensor, OIS, f/1.7 aperture, and dual LED flash. At the front, there's an 8-megapixel camera with BSI sensor and f/2.0 aperture. The smartphone supports 4K video recording. The handset is backed by a 3930mAh battery and comes with QuickCharge 3.0 support. Connectivity options include USB Type-C 3.1, Bluetooth 5.0, Wi-Fi 802.11 a/b/g/n/ac, NFC, DLNA, and Miracast. It packs fingerprint scanner at the back panel. It measures 158.5x74.9x8.5mm and weighs 188 grams. HTC U11+ will come with Google Assistant as well as Amazon's Alexa - both of which can be integrated with Edge Sense to launch with a squeeze. To recall, the Edge Sense was launched on the HTC U11 earlier this year and it allows users to access apps, launch camera, or launch a voice assistant with squeeze gesture on the sides. 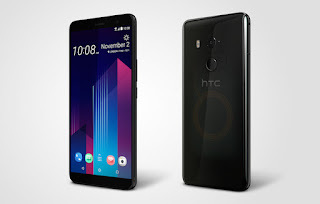 Apart from the two assistants, HTC U11+ will also come with the company's Sense Companion which will learn user patterns and offer information as and when needed. The handset comes with a translucent glass back and will sport IP68 water and dust resistant certification. As mentioned earlier, the HTC U11+ will run on Android 8.0 Oreo out-of-the-box with the company's HTC Sense UI running on top. The HTC U11+ also packs HTC BoomSound and HTC USonic earbuds for improved audio experience. The company says that the BoomSound speaker on the HTC U11+ is the loudest it has ever put on a smartphone and is 30 percent louder than HTC U11. The HTC U11+ closely mimics the liquid surface design first seen on the HTC U11. The new smartphone will be available in Ceramic Black, Amazing Silver, and Translucent Black colours. Coming to the HTC U11 Life, the smartphone will run on Android Nougat with HTC Sense in the US while the Android One model will run stock Android 8.0 Oreo. It features 5.2-inch full-HD Super LCD display and comes with Corning Gorilla Glass for protection. It is powered by an octa-core Qualcomm Snapdragon 630 processor. The U11 Life will be made available in two versions: 3GB RAM with 32GB storage and 4GB RAM with 64GB storage. It supports expandable storage support via microSD card (up to 2TB). The HTC U11 Life sports a 16-megapixel PDAF camera with BSI sensor and f/2.0 aperture. At the front, there's a 16-megapixel camera. The HTC U11 Life will also come with HTC USonic with Active Noise Cancellation earphones. It comes with 2600mAH battery with QuickCharge 3.0 support. The HTC U11 Life packs IP67 rating and sports fingerprint scanner at the front. It measures 149x72.9x8.1mm and weighs 142 grams.